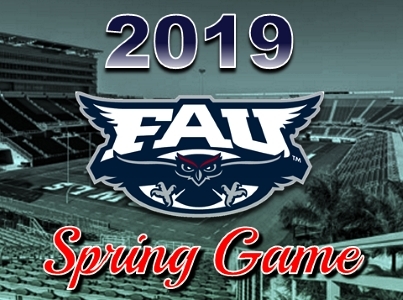 The Florida Atlantic University football team will host the 2019 Spring Game, Saturday, April 13 at 2:00 PM in FAU Stadium. 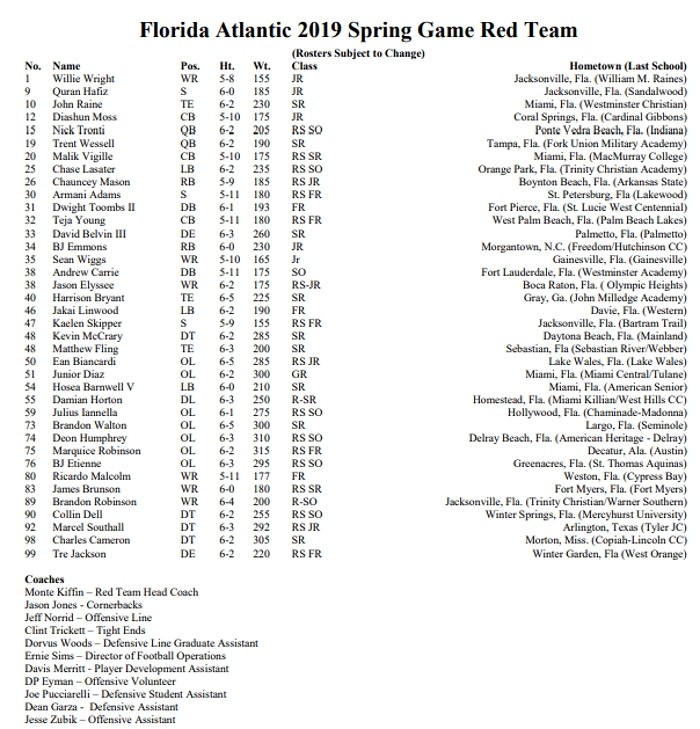 The Spring Game, which is free and open to the public, is just the first game in a day full of events geared towards sports fans of all ages. The football team will be divided into two teams. The team will draft players for each side the middle of next week. The two teams will play a traditional half. 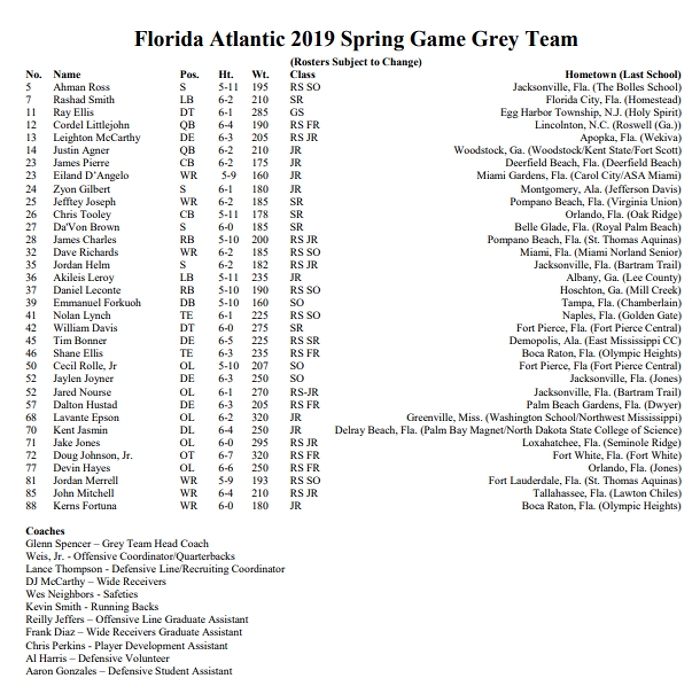 New to this year’s slate is an FAU Football Alumni Game. The “old timers” will play two four-minute halves at halftime. The Delray Hyundai Deck will feature photo opportunities in the FAU Giant Chair, a photo booth, various sponsorship displays, and an ESPN West Palm 106.3 in-game broadcast. Coca-Cola will have sampling outside Gate 1 and there will be another photo opportunity with a giant Owlsley. Paradise Pricing will be available at one concession stand on the concourse. For fans interested in purchasing season tickets, the spring game is the time to do it. FAU’s athletic ticket staff will be on hand to assist with a Select-A-Seat opportunity. Parking is free for the event, but fans are asked to park in lots 4 or 7. The Palm Beach State lot will be open as well. Admission is free for the general seating event. Fan gates 1 and 5 will be open. Normal game protocol will be used and the clear plastic bag policy will be enforced. Concessions will be available on the Delray Hyundai Deck. Prime is on the way!